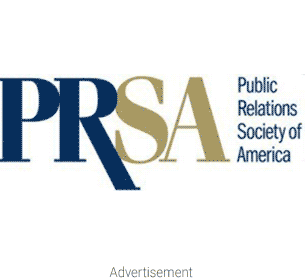 Are there great PR firms in middle America? You ‘betcha! Crossroads is located in Kansas City, Missouri. Mike Swenson and his team love to solve problems for their clients and turn those into moments of success and celebration. You wouldn’t necessarily think that Kansas City would be the place to find a PR firm representing some pretty big companies, but Crossroads has a fair share of them. Some of their clients include Quiznos, DQ, Lee (jeans), Fyzical Spas, March of Dimes, and Weight Watchers. They’ve won many industry awards, including in 2013 the SABRE Award for the Best Public Service Announcement in North America – March of Dimes. PWA has their office in Columbus, Ohio and was founded in 1963. They have 20+ employees and are a full-service independent communications firm. They solve your communications and marketing issues using a combination of intelligence and innovation. Their areas of expertise include public relations, marketing, digital, and public affairs. They believe their clients help to define them while they help their clients build brand recognition. Some client names you might recognize are Dave Thomas Foundation for Adoption, McGraw-Hill Education, and White Castle. Located on historic Film Row just west of downtown Oklahoma City, Candor is named that because they believe in transparency and candor dealing with clients, employees, and the public. The firm was founded and is run by Karen Wicker with help from her 10 (or so) employees. They currently represent organizations such as Standley Systems, Walmart, and John Rex Charter Elementary School. The good news is that in the Midwest, you can find great PR representation.